Last August, Jefferson County, OH, police were involved in a drug investigation when they stumbled upon more than 200 American pit bull terriers. Local humane officers and the Humane Society of the United States were called in to help with the dogs. Within days, the HSUS was on the ground and all of the dogs were freed from their chains and moved to a temporary facility rather than being destroyed. Pit bull rescue volunteers from all across the country came to assist in caring for the dogs, and even more organizations stepped up to pull dogs into their shelter and rescue programs. Throughout the fall of 2010, the dogs were transferred beyond the Ohio/Pennsylvania border into rescues and shelters around the country. Many of these organizations, such as Hello Bully in Pittsburgh, PA, still have dogs from the “Ohio200” in foster care. Hello Bully, a nonprofit located near the Ohio state line, has been heavily involved with the dogs and continues to provide care for three of the OH200 dogs, Ferdinand the Bull, Franklin D. Roosebull, and Isadorabull. The trio of dogs are currently available for adoption. Animal Farm Foundation in upstate New York is also provides foster care for some of the dogs and praises other organizations for stepping up to take in the dogs. Kansas City Dog Advocates also took in two siblings, Edith (above) and Bart (right), and described them as being “pancake dogs, so they came to our home for some R&R and to just learn to be dogs,” said foster mom Michelle Davis. “Life has been rough but they are doing great now.” Both dogs are available or adoption. Though they came from the same environment, each dog has their own unique personality and prospective adopters will likely find a great match for their families in the variety of individual dogs looking for homes. Dogs like Taft and Monroe at the Washington Animal Rescue League in Washington D.C., are both dog social and enjoy playing with other canines. While Taft is outgoing and enjoys an active environment, Monroe “…can seem shy when you first meet her, but once the two of you are alone you’ll find that she’s quite content to sit by your side and allow you to adore her with ear scratches and gentle pets,” said said WARL Adoptions and Rescue Directo, Jamie Scotto. 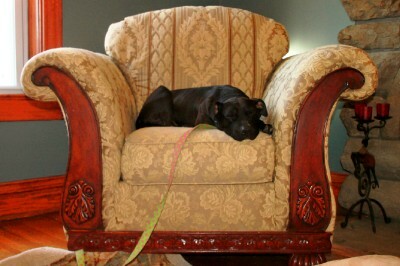 Note: Kansas City Dog Advocates, KS has informed StubbyDog that Edith was adopted two weeks ago! 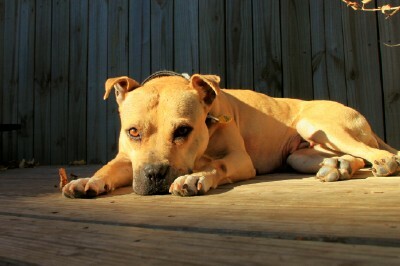 Bart, however, is still waiting for a forever home. Best Friends Animal Sanctuary also took some of these dogs and assisted, and I’m happy to say that one of those dogs, little pocket pittie Lauren, is going to her amazing new home tomorrow, that she will share with two other pit bull type dogs (one of whom is also adopted from a very high profile fight bust case). @woofslc That’s wonderful news, thanks for the update!